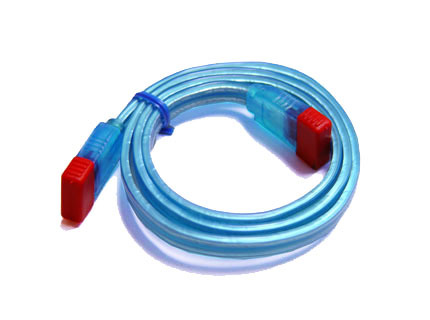 High qualitiy UV sensitive Serial ATA cable. Glows bright in the presence of a UV Cold Cathode. 1> Durable flexible rubber sleeving cab be bent and twisted. 2> Latching connector designed to securely mate internal device and host side. 3> Silver meshing for better EMI shielding. 4> The ability to connect and disconnect devices without prior notification. 5> Better for internal and external use. 1> Supported SATA 6 Gb/s technology. 2> Backward compatible with 3 Gb/s and 1.5 Gb/s.